Being assessed by the Lloyds Register for the Gas Industry Registration Scheme, on behalf of UK Gas Transporters (National Grid etc. ), allows us to be competitive on a wide range of gas connection work, and connect directly to the gas network. The assessment covers quality and safety aspects of our policies and practices with regards to gas. Similarly to GIRS, the Water Industry Registration Scheme is assessed on behalf of Water Utility companies, and our accreditation allows us to work directly on their networks to provide the best offer to our customers. The assessment covers quality and safety aspects of our policies and practices with regards to water. Being a member of the Gas Safe Register qualifies us to work on outlet gas pipe. In terms of outlet works, we specialise in underground MDPE pipe runs, generally from boundary meter positions to the point of use. Employing WIAPS approved groundworkers and engineers allows us to be a member of Watersafe. This accreditation means that we can install water service pipes on private land ready for connection to the mains network. This includes connection to BGS Utilities installed mains or existing mains that are part of the local operator’s network. The Contractor’s Health and Safety Assessment Scheme is a thorough assessment of health and safety policies and practices within our organisation, covering all of the general works and day to day practices. 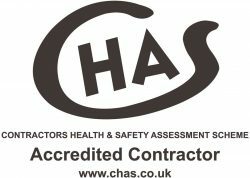 CHAS is a member of the SSIP Safety Schemes In Procurement group of accrediting bodies. 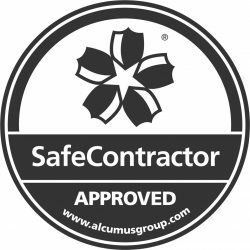 SafeContractor is another member of the SSIP group of accrediting companies, again assessing safety, quality and environmental procedures, but through a different lense. 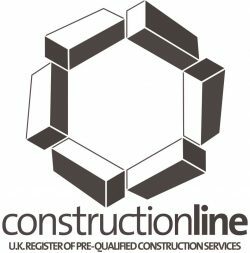 Constructionline covers most of the same areas as CHAS, with some subtle differences in the way that they assess works, and areas addressed.